Enjoy living in a brand new home at Blossom Hill ! 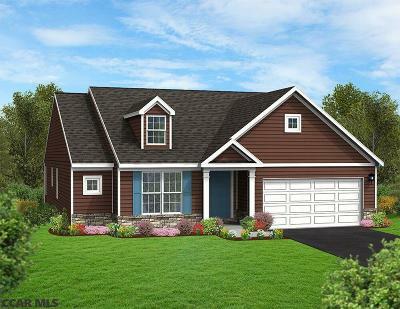 The Abbey plan is 3 BR, 2 Bath ranch that includes an open floor plan family rm and kitchen area, with sunroom off the breakfast nook. Large master bedroom w/ bath and walk-in closet, plus 2 additional bedrooms and full bath. Full basement unfinished, 2 car garage. Convenient and maintenance free! Directions: New Construction In Blossom Hill Community, Estimated Completion Date June 2019. Please Contact An Agent To Tour Property. Monthly HOA Fee Includes Trash Removal. One Time Capital Fund Fee Of $350. At Closing. Included: Stainless Gas Range, Dishwasher And Microwave. Garbage Disposal.